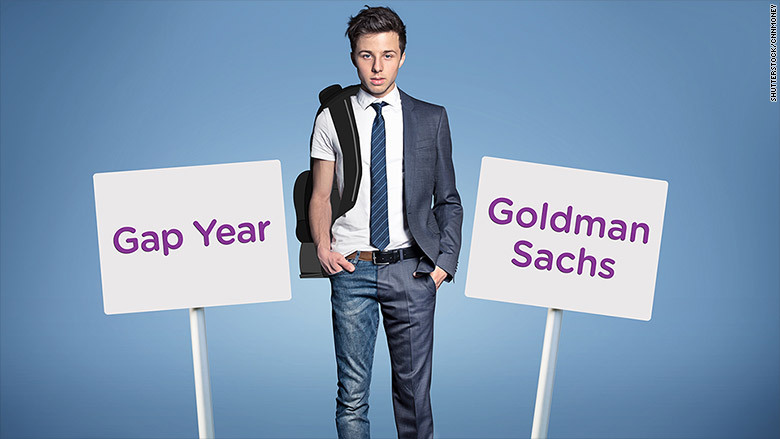 Which is better for you: an internship at Goldman Sachs or navigating the chaotic streets of India? Billionaire hedge fund manager Michael Novogratz believes travel will help you more. He's tired of seeing the same types of resumes and argues that young people should take a gap year before they start their careers or college. "We interview a lot of kids, and they always want an internship at Goldman Sachs (GS), an internship at McKinsey," Novogratz, founder of Fortress Investment Group, said Sunday on the weekly show "Wall Street Week." His advice: "Go do something different. Get on a motorcycle and travel through India and take photographs. Create a story where you learn something...I'm a big fan of the gap year." Before starting on Wall Street, Novogratz served in the military as a helicopter pilot in Alabama. Novogratz, who is worth $1.5 billion, went to Princeton on an ROTC scholarship. 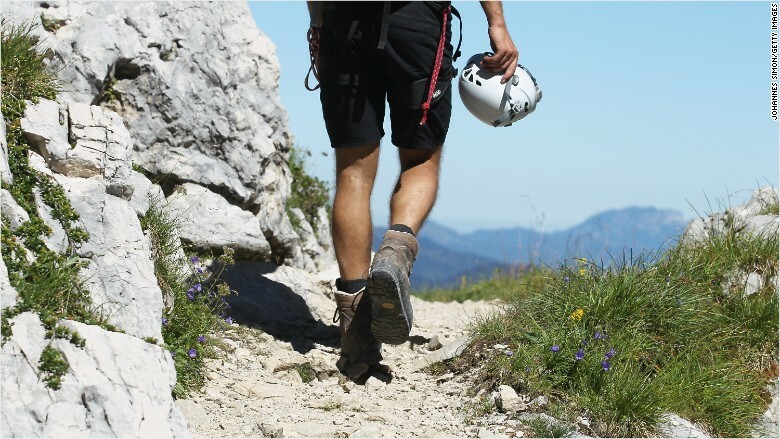 Gap year benefits: A gap year is when someone takes time off from the typical life path. It often occurs before or just after college, according to the American Gap Association. Instead of studying or taking a career-oriented internship, gap year students travel, work odd jobs or volunteer. A gap year is very common in Europe and Australia, and it's gaining traction in the U.S. Many academic experts argue that a gap year improves students' performance later on, makes them more mature and more independent. A study at Middlebury College in Vermont found that its students who had taken a gap year had a higher average G.P.A. than non-gap year students. (Disclosure: this reporter took a year off after college to work in Argentina). It's hard to track how many students take gap years, but AGA surveys show a clear upward trend. Some universities, such as Princeton and Middlebury, even offer admitted students a "bridge year" option before starting freshman year. Share your story: Did you take a gap year? Traveling abroad sparks a business: Aaron Firestein and Raaja Nemani agree with Novogratz. They met in Buenos Aires, Argentina in 2008 while Nemani was backpacking and Firestein was working with local street artists. Firestein gave Nemani a pair of shoes with a custom design, inspired by Argentina's street art. Nemani, who quit a finance job to travel, got lots of comments on his shoes while traveling, which sparked the light bulb on a business idea. Firestein and Nemani later started the company BucketFeet, which sells and manufactures artist-designed shoes. Bucketfeet now works with 15,000 artists in over 100 countries. It has 35 full-time employees and three retail stores. Nemani, who traveled to six continents over 18 months, says Bucketfeet wouldn't be possible without their experiences on the road. The time overseas taught them to be open to opportunities and be resourceful without family and friends. "It was an incredible experience," says Nemani, now 33. "We want to bring people together through art...Our mission is directly tied to those travels I had and the travels Aaron had."